Tea leaves is limited to the safe and secure Taiwanese oolong with a focus on blue tea, fresh tea leaves, has nothing directly to a fine powder is not added. Because it is powder type dissolves quickly in water or hot water, the oolong tea polyphenols and methylated catechin of the active ingredient contained in the tea leaves, handy, you can be ingested whole. 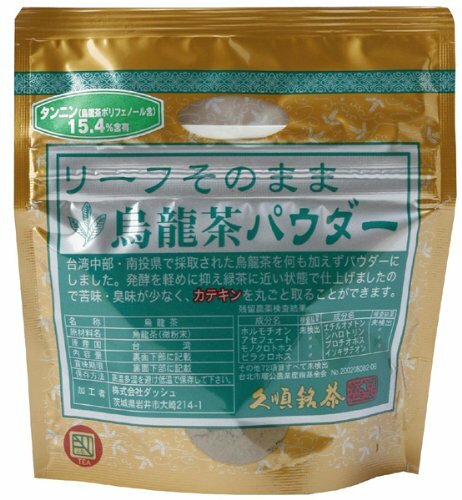 If you have any questions about this product by Hisa-jun refined tea, contact us by completing and submitting the form below. If you are looking for a specif part number, please include it with your message.